Dr. Michael Rackley has been an educator for twenty years at the Miami Job Corps Center, “Job Corps is a program administered by the United States Department of Labor that offers free-of-charge education and vocational training to young men and women ages 16 to 24.” He held various positions as a lead teacher, Senior Academic Educator, GED, ACT (college prep) Coordinator, Acting Director of Programs and Acting Academic Manager. Also, an Adult Basic Educator Instructor at Dade County Public Schools for a few years and Miami Dade College Continuing Education GED Educator for fifteen months. His mission was to revolutionize minds, hearts and lives for generations to come for Christ. Since his transformation, he was ordained as the Senior Pastor/Founder and Church Planter of Mighty Fortress of God Ministries Church in Miramar, Florida for ten years. He currently is the Founder/President of Sound the Shophar Ministries, Inc—(an evangelistic arm of the Church). 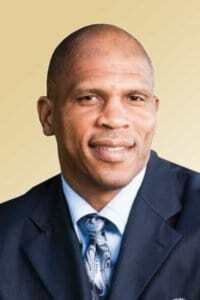 Dr. Rackley earned a Bachelor of Science degree in Industrial Arts Technology at Cheyney University in Pennsylvania. Also, he earned forty-two graduate credits in Management of Information Systems from St. Thomas University in Miami, Florida. Later, he obtained a Master of Divinity degree from South Florida Bible College and Theological Seminary. Additionally, he holds a Ph.D in Biblical Studies from Louisiana Baptist University including practicum from his studies in the land of Israel. Dr. Rackley studied Biblical Greek and Hebrew for two years and translated the Book of Ruth from Hebrew to English and translated Revelation 20 from Greek to English according to the Majority Text. With extensive studies in this area he has translated the Messianic scriptures from the Old Testament from Hebrew to English. Dr. Rackley completed his last degree from Liberty University graduating with High Distinction with a Doctorate in Ministry in May 2014. He has published a book for youth and young adults entitled “We Will Not Bow to Babylon’s Table: A Spiritual and Practical Compass to Help our Youth Navigate through a Hostile Culture.” His favorite books are aimed at youth, teens, and young adults. Dr. Rackley’s second love concerns bible prophecy and eschatological studies in which he has two books in the making. In 2008, Michael Rackley was inducted into Cheyney University Football Hall of Fame and was an undrafted free-agent for the New Orleans Saints Football team in 1988. President’s Award in the field of Koine Greek at South Florida Bible College & Theological Seminary August, 2004. President’s Award in the field of Koine Greek, at South Florida Bible College & Theological Seminary August, 2003. Doctor of Ministry at Liberty University with a specialization in Pastoral Leadership & Management, (2014). Graduate with High Distinction. November, 2001—“Contrast between the Incarnate Word and Inspired Word,” for Apologetics Course, Defending the Faith at South Florida Bible College and Theological Seminary, Deerfield Beach, FL. October, 2001—“Christ vs. Mohammed,” for Apologetics Course, Defending the Faith at South Florida Bible College & Theological Seminary in Deerfield Beach, FL. Youth Pastor/Bible Study Teacher to at-risk youth & young adults at the Miami Job Corps Center in Miami, FL for 21 years from 1993-May 2014. Ordained/Licensed Pastor: March 2000, Revival Faith Center Ministries, Ft. Lauderdale, FL. Senior Pastor, Mighty Fortress of God Ministries Church, (2000-2009). Ordained/Licensed Minister: September 21, 1997, Lighthouse of Christ, Naranja, Florida. July, 1991 –“Jonathan Armor Bearer,” Pastor Appreciation Program, Holy Ghost Temple, Perrine, FL. Thesis: Rethinking Discipleship in the Area of High School Ministry: Key Strategies for Transforming Urban Youth (2014) Publication in process. Israel Prophecy Study Tour 10 days 9/2008 – Studied under noted Middle East Journalist and Bible Prophecy Expert Dr. Jimmy Deyoung in Israel.